Workplace consultancy is a strategic service provided to improve the efficiency of your workplace in a cost effective manner. With our background in not only office design but also shop interior design and fit out, our consultants gather enough information about your company to provide a variety of strategies to help maximise performance. Improve staff engagement and productivity. Ensure your space is being used effectively. Increase staff development, morale and attract new talent. Accurately reflect your office brand and values. During your workplace consultancy, we build a better understanding of your business goals and aspirations. This allows us to design an office that inspires and retains your existing and future employees. Using a range of tools including employee surveys and time utilisation studies we can find out how and where the people in your business actually work, their behaviours and their culture. This removes any assumption of what you think you need and replaces it with facts. From this we can develop a sustainable workplace strategy that will be used to define your office design or fit out brief in order to gain the most out of your office space. Our team of office interior designers then translate the brief and strive to create an inspirational workplace that enhances employee performance. Whether you are preparing for a new office move, or looking to expand your existing space consider talking to a consultant first. Doing so can help you to identify possible short comings in your current office design, providing you with the knowledge and insights needed to create a workspace specifically tailored to your company. 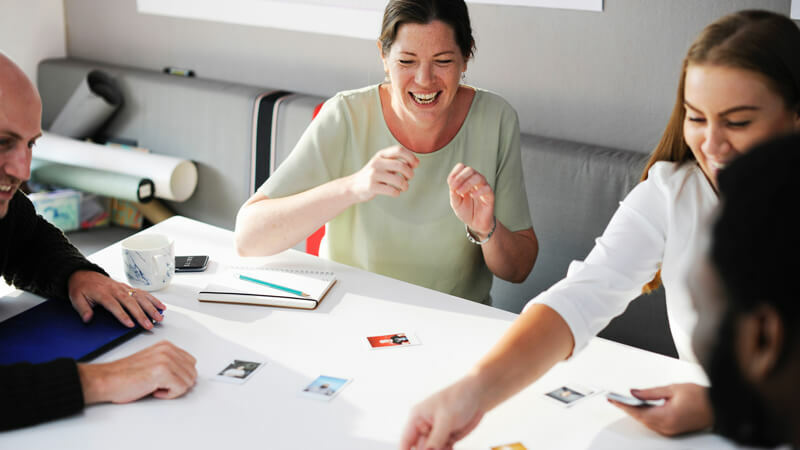 This can ultimately drive employee engagement and ensure that your new office space delivers everything that your business needs – now and in the future. Contact us if If you’re looking to design a new office, a design based on research could help you get more from your fit out.